September 1, 2019, is a historical day celebrating the 111th year of Seoul’s provision of tap water to the public for the first time at the Ttukdo Arisu Water Purification Center, and November 21st is the 30th founding anniversary of the Seoul Waterworks Authority, which offered the public high-quality Arisu. Seoul is set to host the celebratory event, 111 Years of Tap Water & 30 Founding of Seoul Waterworks Authority, to create an opportunity of celebration and enjoyment for people of all backgrounds. From May 13-24 on the first floor lobby of Seoul City Hall, and from September 1-30 at the Waterworks Museum, a special waterworks photo and artifact exhibition is scheduled to be held in order to illuminate upon the 111-year history of waterworks in Seoul. In promotion of active public participation, fun programs will also be available, including Arisu face painting, bubble zone, clowns on stilts (balloon art), and caricatures, at the tap water promotion hall, Arisu Land (located in Neung-dong, Gwangjin-gu), on Children’s Day, May 5. 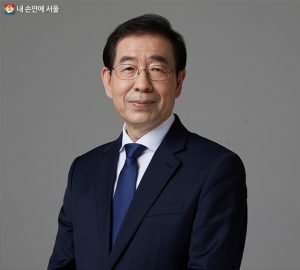 In addition, Seoul will organize and operate a 30-person Expert Advisory Panel, beginning from April, that is comprised of experts from various fields, civic group officials, as well as ordinary citizens and students, for the active development of waterworks policy.